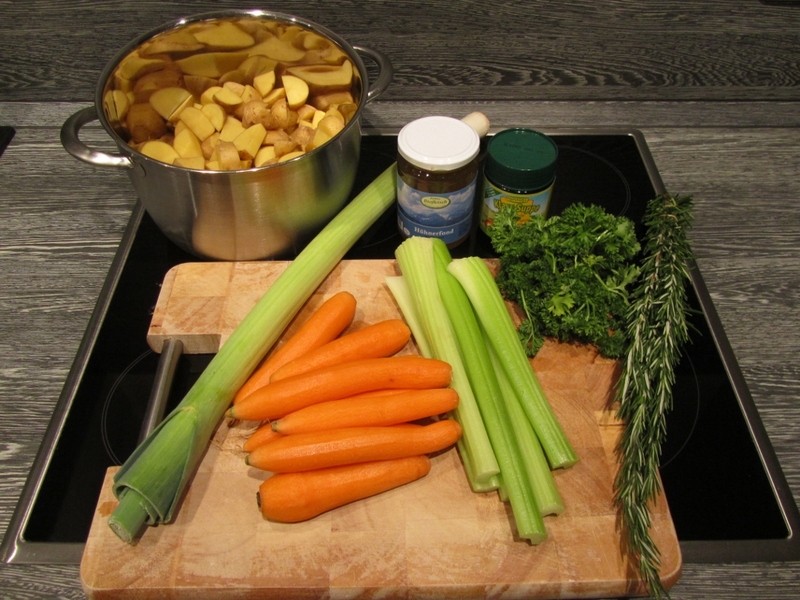 It’s that time of year again, when warm liquid food starts sounding really good. Our neighbor keeps saying what a nice November it’s been, and I can only inwardly sigh and feel sorry for the Germans, who have a very strange sense of what ‘good’ weather constitutes. We’ve been having lots of cold and fog. 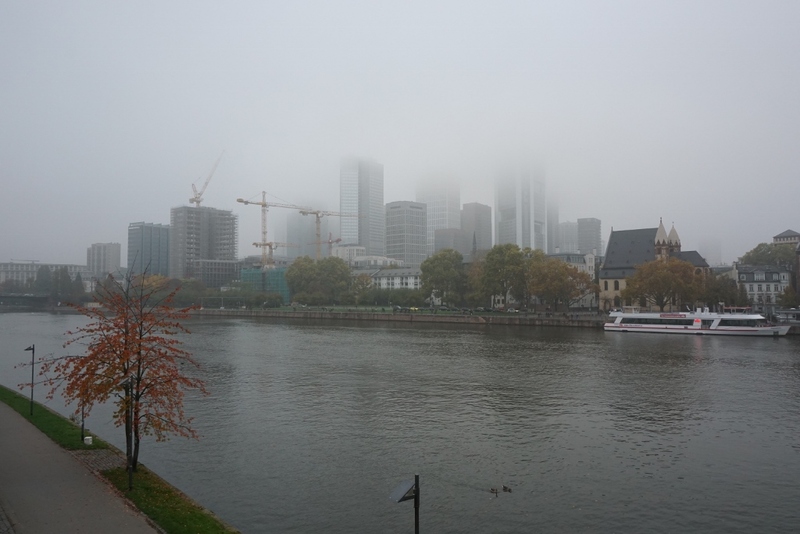 So much fog that the skyscrapers of Frankfurt can’t be seen for days on end. Add to that a few sprinkles of rain, and you can understand why I dream of an escape to Arizona. Instead, and in preparation of Roo’s coming, I decided to mass produce several liters of soup for our freezer. We now have potato soup, carrot soup, and creamy pea soup ready to go! This entry was posted in Food, Home and tagged cooking, weather, winter by Arizona girl. Bookmark the permalink. Wish you were in AZ, too! Our temps have been less temperate than usual, but lots of sun, as always. I have to say, that is a pretty vista, if cold and damp.